Sat. 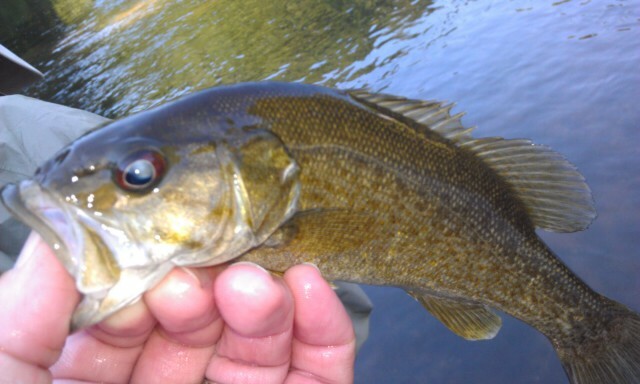 June 30,2012…..Good morning of smallmouth fishing both the NC and VA New. Guiding Dr Jim Kramer of Greensboro, NC. We have had a decent day though hot, the fishing better on the morning. We have landed 25 or so, plus a handful of redeyes. Our largest a 20-21 inch 4lb smallie…..and we want more…! Thurs. 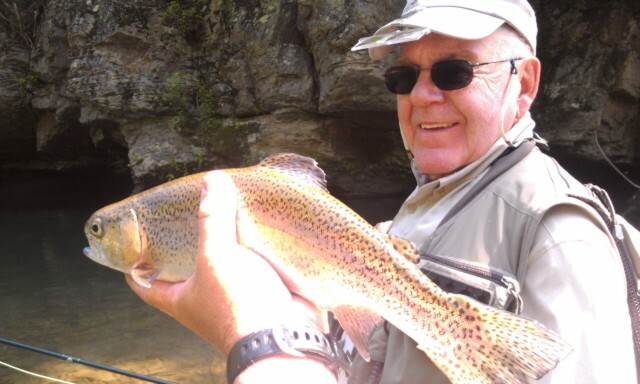 June 28,2012….Pretty good day yesterday on the North Fork New guiding Dr Russell Kitchens and we caught 3 rainbows, 30 smallmouth, and a lot of redeyes. We caught all our fish on top with poppers. Not a lot of big fish, but several decent ones from a pound to a pound n a half. Our largest fish was a 1.5 to 1.75 bass that smashed our popper. Taking the day off today to spend with my bride celebrating our anniversary , no fishing she says “its too hot…”. So we will spend the day doing what she would like to do. Have two openings , one for tomorrow 6/29 and Monday 7/2. Had two cancellations , one the customer was very sick. 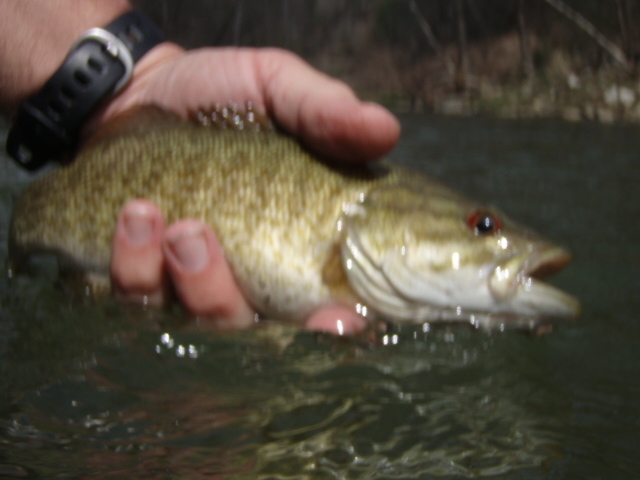 Still some fishing to be had , the South Holston is great right now, there are a bunch of hike in waters that are good, and smallmouth fishing us in full swing too. 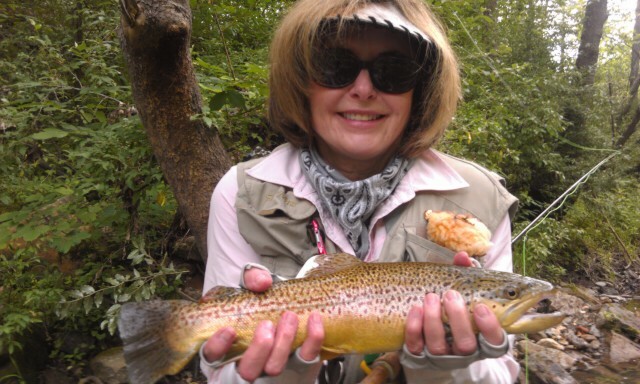 Let’s get away from the heat and go Flyfishing….! Wed. June 27, 2012….Decent morning and wow is it ever cool. In fact, it was chilly to start. Guiding Dr Russell Kitchens and we have landed 3 rainbows, 15 smallmouth, and about a dozen redeyes. No biggies yet but we have caught them all on poppers. 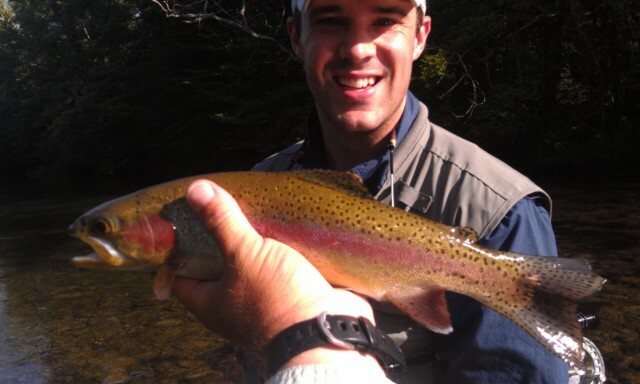 Even the rainbows hit a popper, and all of them were 14" or so….and look like wild fish. We are headed to another spot….more to come…. 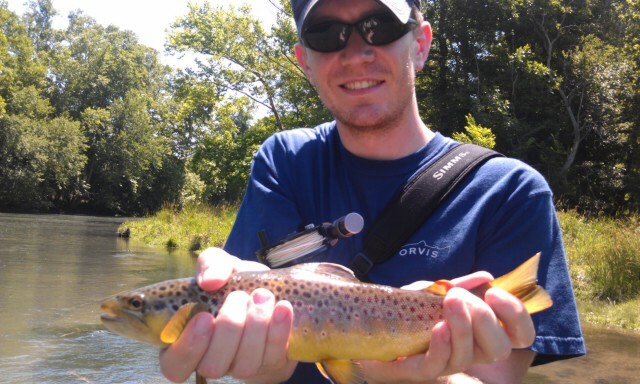 Wed. June 27, 2012….What a dandy morning, just on the heels if several great Holston trips. 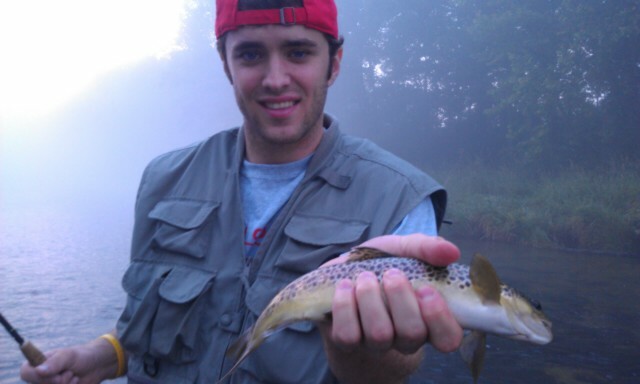 Had one of the largest browns of the year there landed by my client Joe Craig this weekend. Huge brown…. 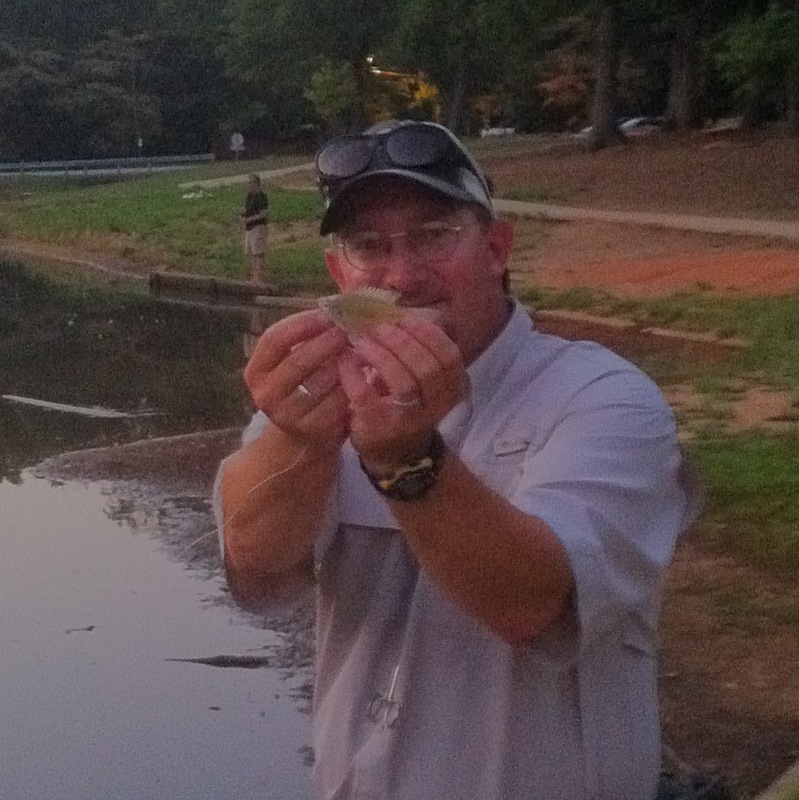 Had a great class last night with our Summer GTCC class , caught a lot of fish too. 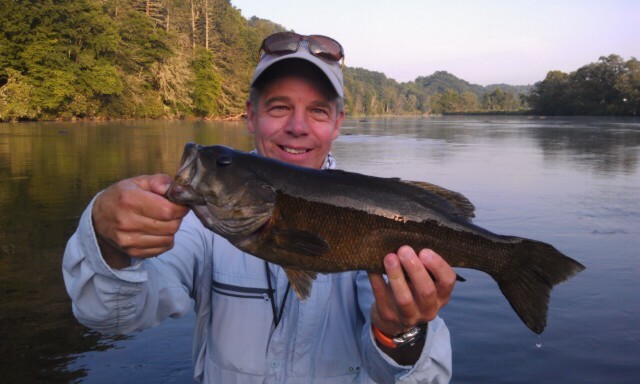 Headed up this morning to guide Dr. Russell Kitchens on a smallmouth trip. Great weather, more to come..! 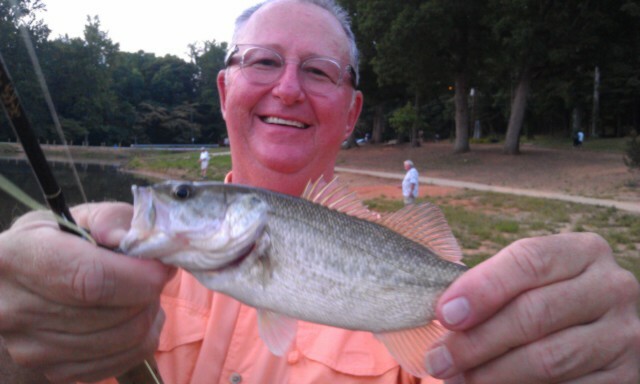 Great Day of Fishing on the SoHo…. Sat. June 23, 2012….What started as a good day pretty well stayed that way. Guided Jim, Chris, and Tom Droney, all from Pittsburgh, PA, Joe Craig, High Point, NC, John and Pete Benbow of Concord, NC, and after a 30-40 fish half day we went downriver to another section of river and caught another 15 or so sight fishing to cruising fish. Pretty awesome day, 55-60 fish, and some real quality ones. Good sulphur activity, just enough to get the fish up and working. Headed back for a busy week of guiding, looking forward to a great one. Have a great Sunday and a good coming week. Sat. June 23, 2012…..Had a great half day so far guiding Joe Craig, John & Pete Benbow, and Jim, and Tom Droney, all Davidson College Alumni, and Tom who is the starting Point Guard for the NCAA Elite 8 Wildcats. We got a little bit of a sulphur hatch, and caught a few on dry flies, but also several on our Pumpkinhead nymph. Also several fish on a beetle, the best fish being landed by Pete Benbow and it was a 17" brown. Landed about 40 fish altogether. Taking a lunch break and then heading to another spot. Fri. June 22, 2012…Heavy storms were all around and we got several, but the evening fishing on the South Holston was fabulous. Guiding Joe Craigs Davidson Alumni group, including junior point guard for the 2013 Davidson Wildcats Tom Droney. We smoked, between all the guys we landed between 30-40 fish during what was a massive Spinner fall. It was phenomenal. Will be headed out tomorrow again for another day with these guys. Good Day in 93 F……. Thurs. June 21, 2012…Had a good finish to the first day of summer in humid, 93F heat. Guided Dr Jim Singer and his wife Susan and we nailed the first fish—a 22-23 inch rainbow that ate a Rubberleg stone dry. Over the next several hours we would catch several more fish up to 23inches sight fishing with Subsrface midge patterns. We fished Escatawba Farms water on Dunlap Creek. After lunch it was game on. I took Jim and Susan upstream to an area where springs enter the river and the chilly water attracts lots of nice fish on hot summer days like today. From there we did fine as expected and landed probably 25 large fish up to 22". All of them rose to a dry. So it was a great afternoon. But wow was it hot, hottest day of the year so far. Headed out for another trio guiding the next 3 days guiding my good friend and client Joe Craig and his group from Davidson College. Should be another great weekend. Stay cool and hydrated if you head out…have a good evening..! Thurs June 21, 2012…..A warm and muggy start, guiding Dr Jim Singer and his wife Susan. We have caught several nice fish thus far, the best being a 22" rainbow by Jim on a size 20 black zebra midge. Fish are really midging in the absence of bugs coming off. Looks like water’s a little cloudy to some thundershowers upriver yesterday. Headed to another spot, we will be terrestrial fishing a lot today I would expect. Wed. June 20, 2012….At least that’s the word from all the weather folks. But then again, it is summer, and it can get hot around here. But guess what? The fish really don’t care. There are still plenty of opportunities, even with the heat, and if there’s one way to get away from sweltering heat and find relief its standing in some cool, mountain water. And I can show you a lot of places where you can do that…! 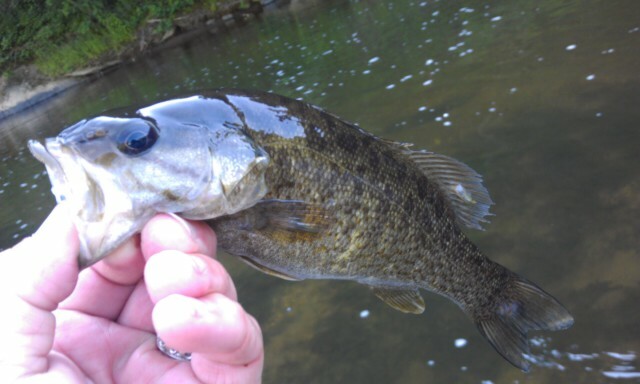 A good fishing month so far, we’ve have some great smallmouth outings already, a good many good terrestrial trips, and the tailwater fishing is good as it usually is. 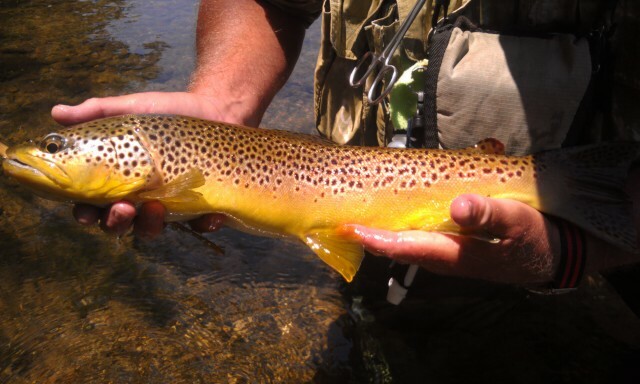 And the South Holston is still enjoying daily sulphurs and spinner falls in the evening and the closest local fishery, the Smith River, has been fishing well too. Had some great times lately on the Smitty, with both terrestrials and with a light sulphur hatch that continues to trickle off. And the fish are still rising to them. This is due partly to the water releases of spring, and high cold flows…..that means good fishing through the summer in all likelihood. Had a trip scheduled today with Mike Workman today but we had something come up and will be rescheduling for July. The rest of the week, if all goes well, we’ll be guiding Drs Jim and Susan Singer at the private water of Escatawba Farms, then a 3 day trip with a group of my client/friend Joe Craig. A group of Davidson college folks, dads and sons, so it looks to be a good trip. We’ll be on the South Holston. -On a lot of evenings, the best activity doesn’t begin until the bitter end of daylight. A lot of people have left for the day when the best fishing is just about to begin. Try using dark winged flies. -The water takes on a greasy glare as the light fades in the evenings, and dark silhouettes become much more visible than bright colors. 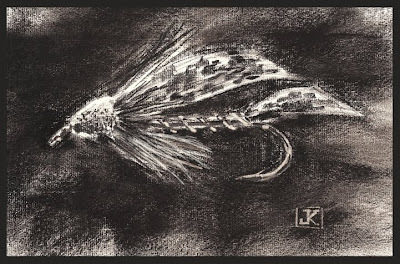 Black dry flies, believe it or not,are most visible at low light. Dark flies like a Dark Caddis or Black Gnat Parachute are very visible in the glare. -There’s no need to make world record length casts when you are fishing this late in the day. Fish are less wary under the cover of darkness and often allow you to get much closer. 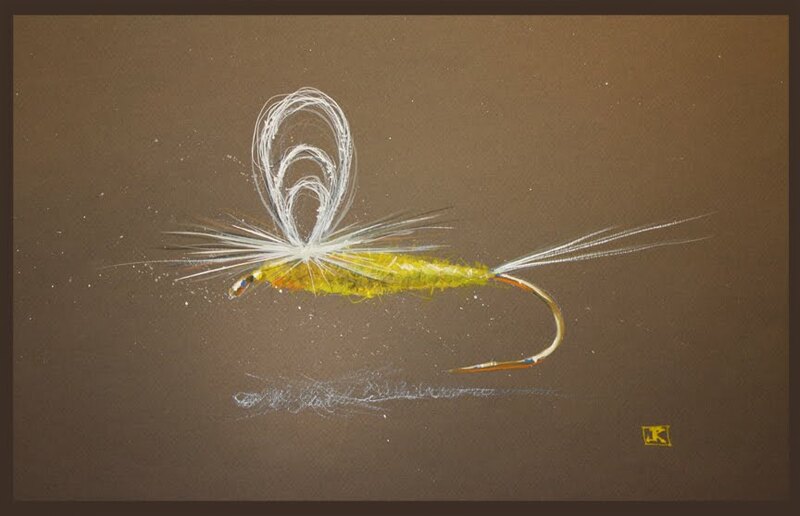 Fishing shorter lines is a good idea for many reasons, you can ‘hear’ strikes you aren’t able to see, you can see fish and fly more clearly, your casts are more accurate, you get better drifts too. -Buy a headlamp. It is next to impossible to effectively change flies, tie knots, or apply floatant or fly powder with one hand while you hold your flashlight in the other. Headlamps allow hands free rigging, casting, fishing….. You can get nice ones for under $30, my personal fave is a Petzl given to me by a friend years ago. You can now get ones for under $10 at places like Walmart. They are made by Energizer and work quite well.